With so much information readily available online, home buyers and sellers sometimes ask “Why should we hire a real estate agent?”. They wonder if they could sell their home through the internet without representation – without a real estate agent. Some do fine on their own, but many don’t succeed. In fact, for sale by owner (FSBO) homes accounted for only 7 percent of home sales in 2017. Realtors have made careers out of selling homes, meaning they have a solid idea of what sells and what doesn’t. While you may think your wallpaper in the kitchen is adorable, your Realtor is likely going to advise you to paint the kitchen a neutral color to attract a larger pool of potential buyers. These seemingly small details can make a huge difference when trying to sell your home. 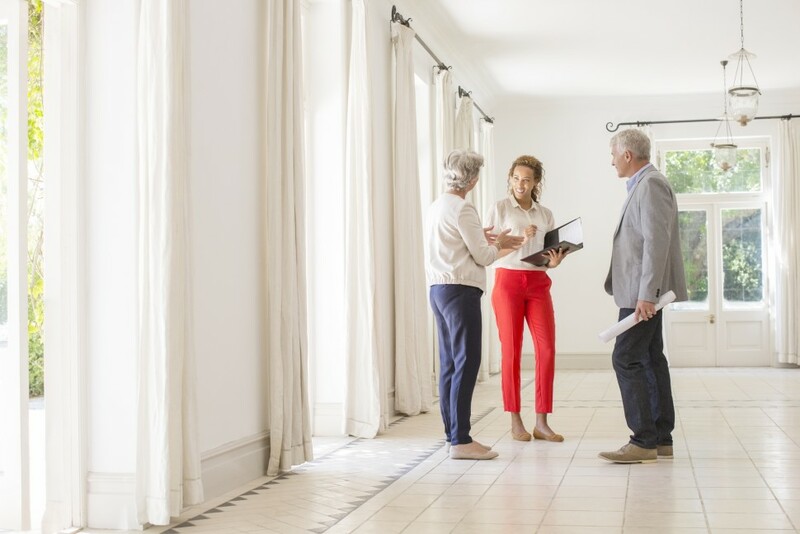 A good Realtor has an eye for details and can help you identify the most important modifications needed to appeal to buyers. Realtors often possess first-hand knowledge and also have access to an abundant network within their industry to uncover insider buzz about your neighborhood. They can identify comparable sales to gauge the current market in your community, help pinpoint interested buyers, and market your home appropriately so that it is best received by buyers looking in your neighborhood. Trying to sell your home without engaging a Realtor can actually cost you money. In 2017, the typical FSBO home sold for $200,000, compared to $265,500 for agent-assisted home sales. Because of the data that Realtors have access to, they are better equipped to determine the best price range for your home. By listing too low, you run the risk of losing money. Price too high, and you risk delaying the sale or having to reduce the price (or both). A Realtor’s knowledge and expertise will help you price your home accordingly, increasing your odds to sell quickly and for fair market value. Many outside factors determine how you will proceed with various aspects of listing your home. Realtors can disclose market conditions, which is one of the biggest governing factors of the selling or buying process. Data such as the average per-square-foot cost of similar homes, median and average sales prices, average days on market and ratios of list-to-sold properties, among other information, will have a huge bearing on the best course of action for your particular home. On a daily basis, Realtors work with other professionals in their industry and related service industries that their customers will need to buy or sell property. This knowledge and experience allows Realtors to advise you on the areas in which you will need a professional and provide you with a list of resources and vendors whom they know have a reputation for efficiency, competency and competitive pricing to help you make a wise selection. Top producing agents negotiate well because, unlike most buyers and sellers, they can remove themselves from the emotional aspects of the transaction and because they are skilled and experienced. It’s part of their job description. Good agents are not merely messengers that deliver buyers’ offers to sellers and vice versa. They are professionals who are trained to present their clients’ case in the best light and agree to hold client information confidential from competing interests. There is a lot of paperwork involved in both buying and selling real estate. It is not uncommon to feel like you are signing your life away. You will likely encounter state contracts, title documents and lender contracts. Fortunately, your Realtor can help explain the documents you are required to sign so that you can feel a sense of comfort throughout the process. Using a Realtor is the most effective method to sell your home. An agent can help you choose the best list price, market your home, get potential buyers in for showings, negotiate the best deal on your behalf and assist with the closing process. You have a better chance of selling your home quickly and for more money with a real estate agent. Ready to find a local Baldwin Realtor to work with? Start here. 0 comments on "Top 7 Reasons to Use a Realtor When Selling Your Home"